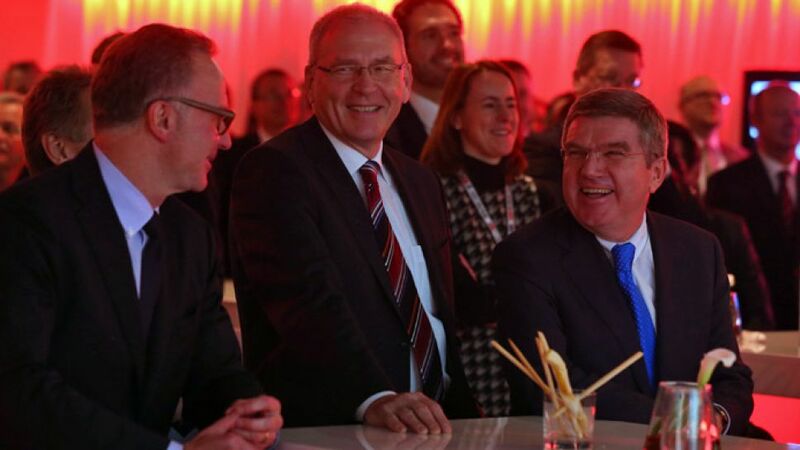 Frankfurt - Over 400 guests from the fields of sport, business, politics, media and culture attended the DFL Deutsche Fußball Liga's traditional New Year's reception in Frankfurt. League President Dr. Reinhard Rauball, CEO Christian Seifert and COO Andreas Retttig welcomed top-class guests at the Thurn-und-Taxis Palais in Frankfurt's city centre, where presenter Dunya Hayali ushered in the 'Big Kick-off 2013'. Once the formalities were over, there was time for individual conversations. Click through the best pictures from the New Year's reception above.